Queen Elizabeth II would be moving in on Roger Ebert’s territory -- if Geoffrey Rush had his way. Over the weekend, a UK tabloid reported the reigning monarch of England had responded favorably to a private screening of “The King’s Speech,” which depicts her father King George V’s struggle to overcome his stammer at a crucial moment in the nation’s history. 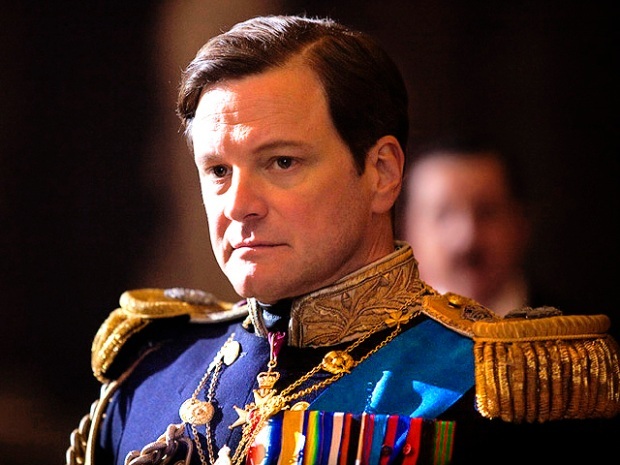 Rush, who plays the king’s speech therapist, Lionel Logue, in the odds-on Oscar favorite for best picture, is wondering if the Queen can now be the latest critic to be quote-blurbed in the movie’s poster. “We have just heard repeatedly by The Sun that she saw 'The King's Speech' and was moved - that was the quote,” said Rush while attending the Academy Awards nominees luncheon in Beverly Hills on Monday. Rush said he and co-star Colin Firth have fantasized about how to leverage the tidbit. The speculation didn't stop there. “We've been joking that the Queen is probably on Netflix and that she's got a whole backup list of the ‘Madness of King George’ and ‘Alfred the Great’ and gets them out every couple of months,” Rush chuckled.